The snapdragons that were planted on the left side of the garden were slower to get going than in the sunnier parts, but are still flowering. 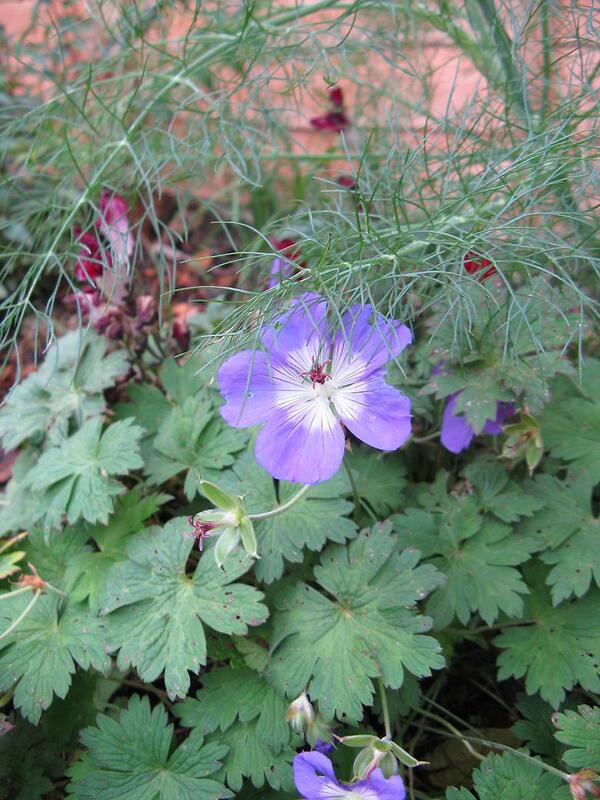 This is Geranium Rozanne which has grown much better than last year, but is still not producing a lot of flowers. 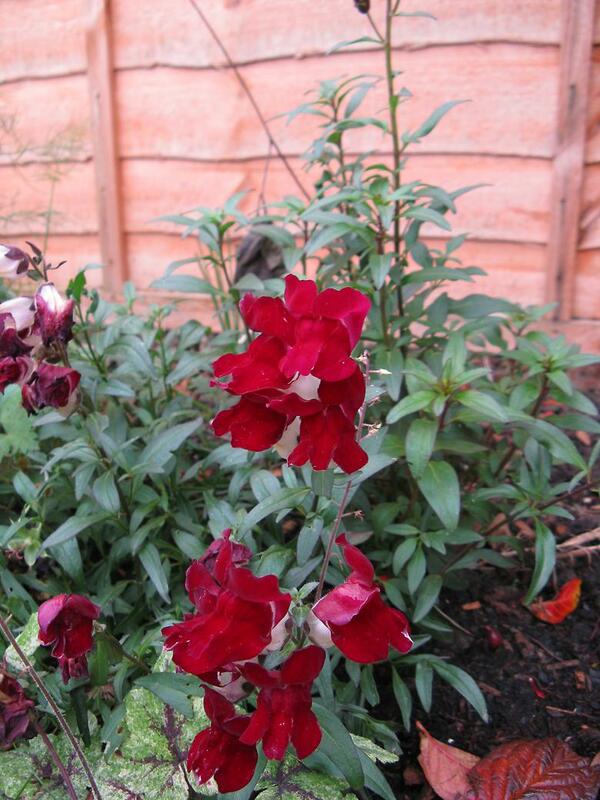 I have split it and am going to see if it does better in a sunnier spot. 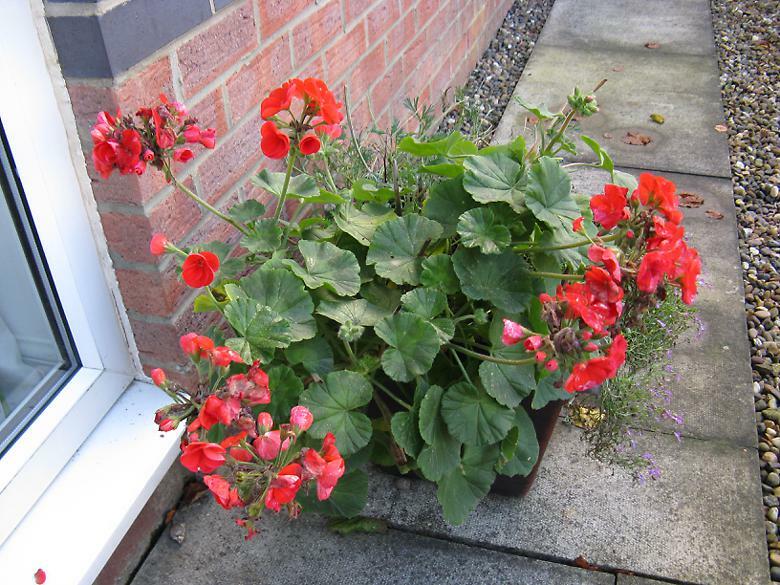 This is one of the Pelargoniums which I bought as one of 20 or so plugs. This has grown the best and it has been interesting to see where they have done well and where not. 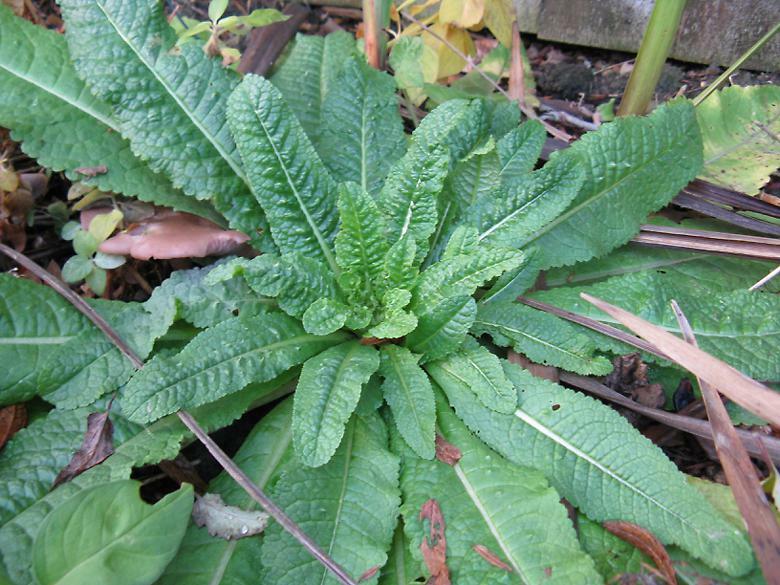 I thought I would show the teasel, although there is not much to see in the first year. Looking forward to next year! 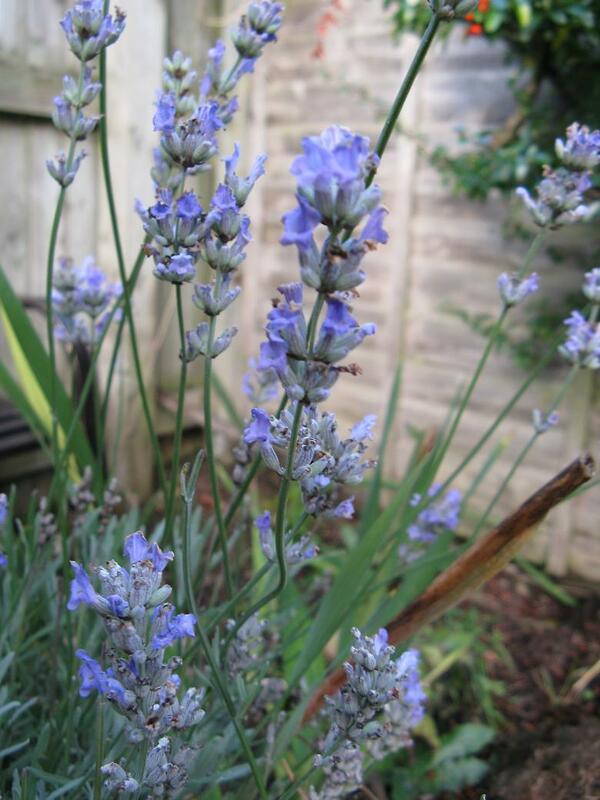 The Lavender is still flowering quite nicely, but still not a patch on last year. I put it away from the house where it got a lot of sun. Perhaps this was a mistake being a plastic container, the roots may have been too warm. Anyway I will probably move it back nearer the house next year. 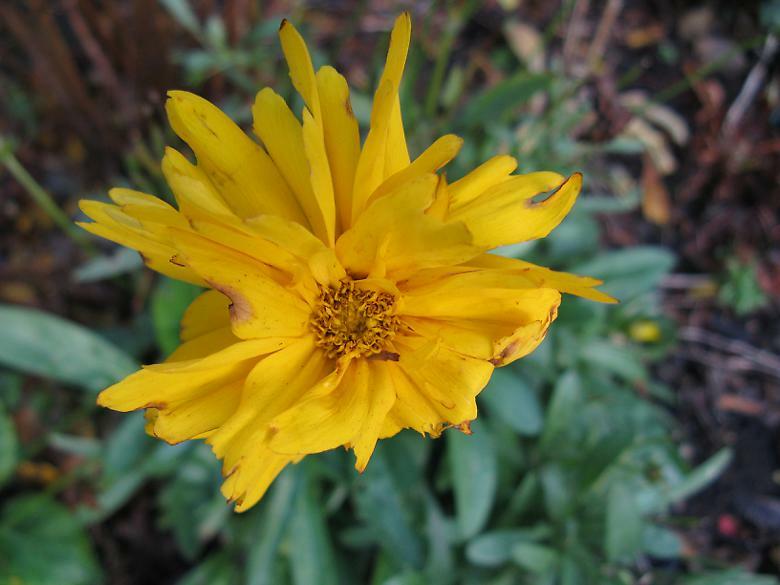 The Coreopsis has been flowering all through summer and still had a few flowers during November. 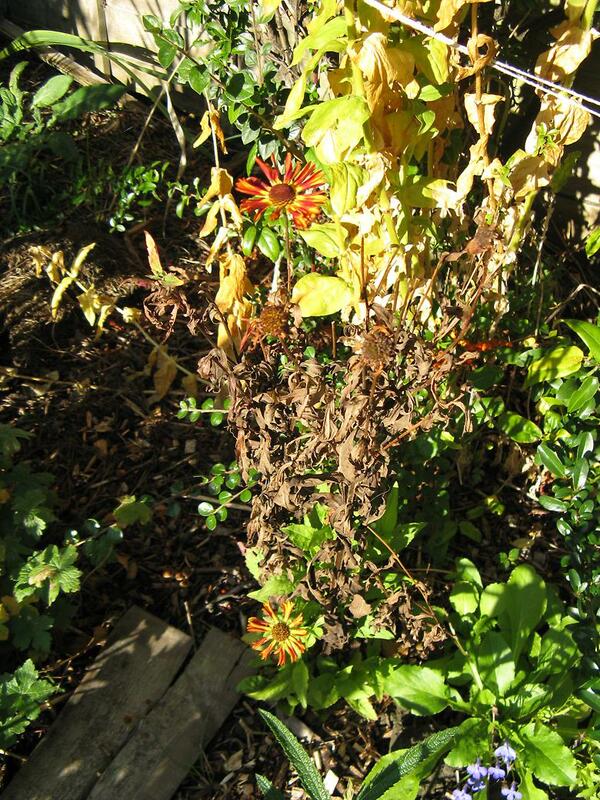 This Helenium is still going strong, even though the leaves are starting to die back lower down. Most plants are still green. Some of the earlier flowering plants have started to die back, this includes the Astilbe Lythrum and Sanguisorba plants. That is not so surprising and matches last year. I am surprised by the Helianthus 'Lemon queen' which finished flowering and then immediately all the leaves turned brown and now black. Indeed a couple of the flowers still had petals. 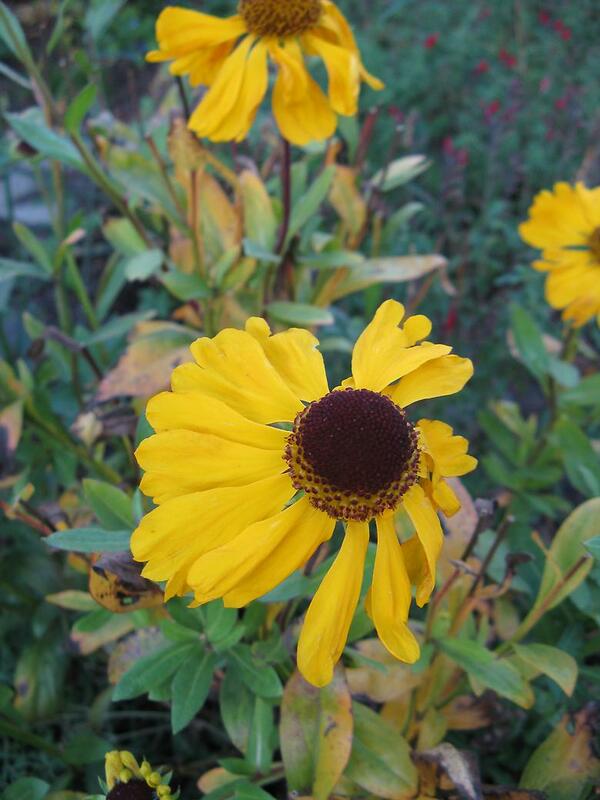 The leaves of all the Heleniums appear to be dying back even as new flowers are opening. Since I practise cut-and-drop the whole garden is the compost heap, but I do have a smallish bin that came with the garden and over the two years I've been here it is now about quarter full. There didn't seem to be any point of leaving it there any longer, so I tipped the bin to extract the compost from the bottom. It looked very good and soil like with no sign of what had gone in there apart from a few twigs. I've put it on the newly dug area and spread the rest around wherever the soil looked a bit gray.